Help! I Need A Flexible Cleaning Routine! 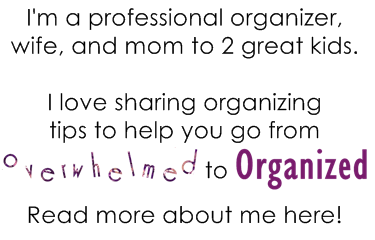 | From Overwhelmed to Organized: Help! I Need A Flexible Cleaning Routine! Do you have a spouse who works shifts? Is it hard to work your cleaning tasks around their sleeping schedule and your family time? Today I'm going to be sharing some tips that will help you create a really flexible cleaning routine so you can still have a clean home, even if you can't follow all the regular cleaning routines you come across online. I love when I get questions from readers about how to organize something! It's great to be able to offer advice and share tips and ideas with you and then know that I was able to help. Several months ago I received an email from Becca asking for advice on how to keep her house clean when none of the typical daily/weekly/monthly cleaning routines worked for her. Now my hubby's work schedule has changed and is also very sporadic! He works 12 hour shifts and some days he works day shift from 7:00 am to 7:00 pm. Also, some days are from 7:00 PM to 7:00 AM (night shift). Also, he does not have the same days off for the whole month! So, there are days when I can't seem to get anything accomplished because he has to sleep during the day. And when he does have a day off we really are not in the mood to clean and the children and I are ready to spend time with Dad. I currently don't even have a schedule for cleaning and I miss those organized days from the past. I thought about having 2 cleaning schedules, but I'm not sure how to even organize those...I am trying to think of something and not sure of what to do. ANY ideas would be helpful. Do You Need A Flexible Cleaning Routine? It may only be for a period of time, and then you can return to your "normal" cleaning routine. But during times of transition or change, some flexibility can really help. Here's my reply to Becca. I share it because some of the tips I recommended to her may apply to you too. Thanks for contacting me. Shift work is tough to work around for those of us who like routines! But here are a couple of things you could try. First, create a short list of daily tasks that you want to make sure you do every day (the tasks on this list should only take 10-15 minutes to complete - load/empty dishwasher, wipe counters, etc.). You should still be able to find time to fit those in even on the days when your husband is sleeping or when you want family time. Then, make a list of ALL the other cleaning tasks you want to accomplish in a month. Break large tasks down and be specific (e.g. vacuum bedrooms, vacuum living room, mop kitchen, etc.). If there are some things you want to do more than once (clean bathrooms, etc.) then list those tasks multiple times on your list (spread out evenly between several other tasks). Then during the course of a month, go through and do the tasks on your list in order, on the days when your hubby is working during the day. If you get 4 tasks done one day then just start where you left off the next time you can clean. When you get to the end of your list just start over again at the top. You may do more on some days than you used to do on a daily basis, but that will make up for the days when you don't do anything from your list. 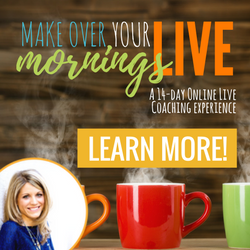 Or you may even find you can do 1-2 tasks from your list on days that he's off or working nights, but you don't have to if you do enough on the other days. In the end you'll be getting your whole home clean on a regular basis, but you can decide which days you clean based on which days work best for you. You may have to be a bit more flexible sometimes (like if you used to do a load of laundry every day and now sometimes you do 4-5 loads all in one day). And you may need to adjust your expectations a little (like if you used to vacuum every other day and now you vacuum 6 times a month). But overall I think you'll feel better about keeping your home clean and not having tasks build up or fall through the cracks. 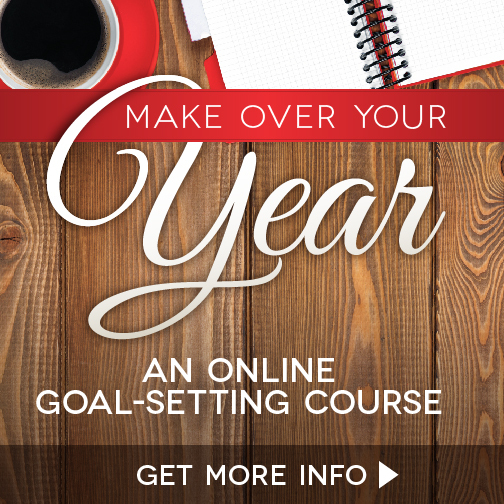 Try it for a month and then adjust your list if necessary. Becca liked the idea of having daily tasks and then also working through a list of other cleaning tasks on the days when she was able to. How Did A Flexible Cleaning Routine Work? I followed up with Becca a few months later to see how the flexible routine was working. It turns out she had an overseas move and a family illness to deal with as well as her hubby's work schedule. During that transition, she implemented an unwritten version of my suggestions. She kept up with her daily cleaning tasks and worked through other cleaning tasks on an as-needed basis on the days she was able to clean. Now that she's settled in to a new home, she said the suggestions I made are working really well. The key for her was that other cleaning routines she had tried were too hard to follow. 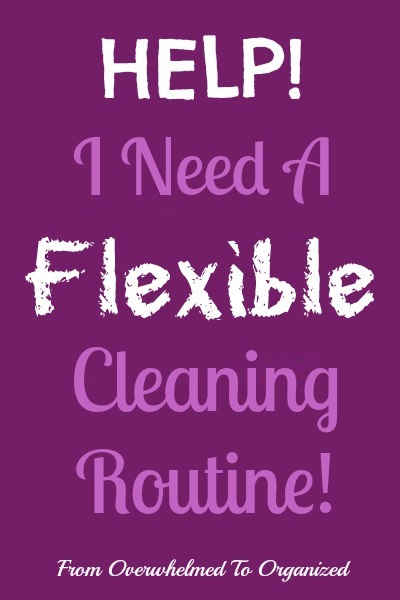 She loves how flexible this cleaning routine is and it works with her family's schedule. Yay! I'm so glad Becca reached out to me with her dilemma and that the suggestions I made worked so well for her! If you have a regular cleaning routine, that covers all the regular cleaning tasks you need to do to keep your home clean, you may feel overwhelmed when it comes time to do deep cleaning or seasonal tasks. How do you fit in time to do all the "extra" things that need to be done once in awhile, but not every week or month? You can do the same thing as Becca did, except where she had daily cleaning tasks and a flexible list of other cleaning tasks, you can have your regular cleaning routine and a flexible list of spring cleaning tasks. There are several great lists of spring cleaning tasks in the Spring Cleaning Bundle that you can use in this way. Like these checklists from A Bowl Full of Lemons. Or Clean Mama's checklists and mini checklists. 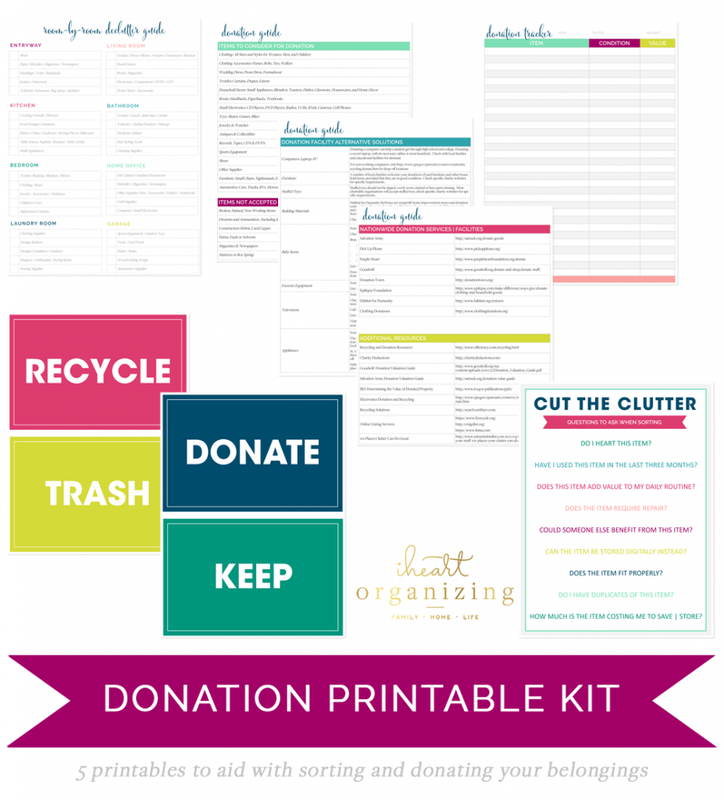 There's also a room by room declutter guide from I Heart Organizing so you can declutter before you clean! 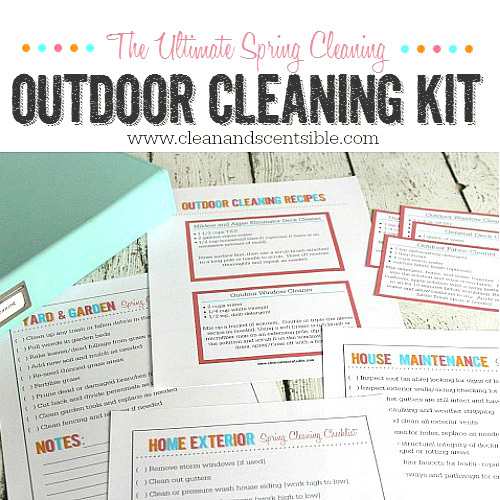 Plus there are outdoor checklists from Clean and Scentsible. 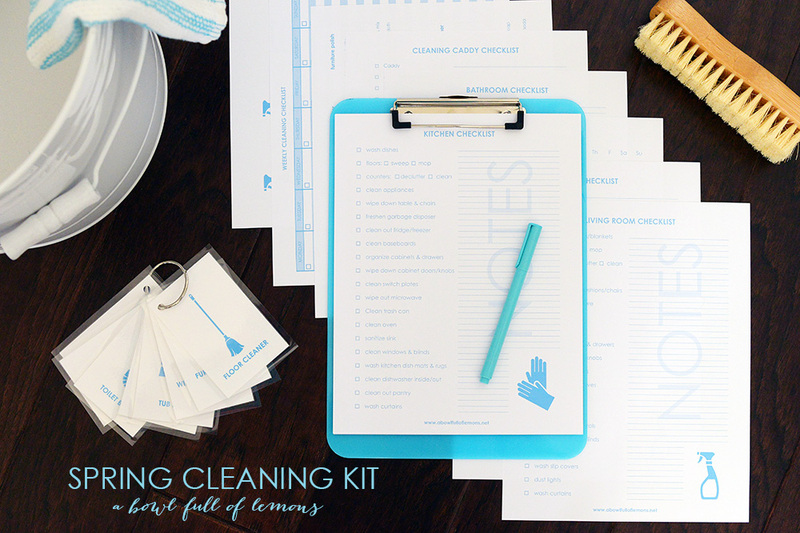 You can print out and use these checklists the same way Becca uses her flexible cleaning tasks list. Whenever you're able to do some spring cleaning tasks, just take a peek at your list(s) and pick a few tasks to complete. Check them off and pick a few others the next time. When everything's checked off you're done! You can work on some of the indoor cleaning tasks now and focus on the outdoor ones when the warmer weather hits. If you only have time for one task a day then just check off one task a day. If you want to work a lot on Saturdays when your family can help, then check a bunch off all in one day and take it easy the rest of the week. If you normally clean the bathrooms on Monday, then maybe you work through all the deep cleaning bathroom tasks on a Monday. You can go room by room, or task by task. So whether you need an ongoing flexible cleaning routine, a short-term flexible cleaning routine, or a seasonal flexible cleaning routine, the principles I suggested to Becca can work for you! 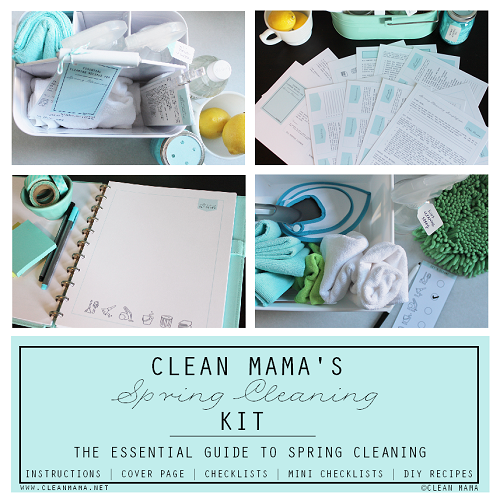 I hope this helps you feel less overwhelmed with your regular cleaning and your spring cleaning! Make sure you grab your Spring Cleaning Bundle while you can! It's an exclusive, limited-time only sale! How do you work around a spouse's changing work schedule? 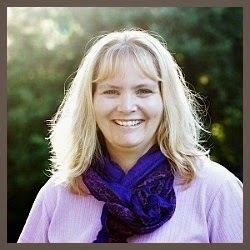 What do you do when transitions happen in life and you can't follow your regular cleaning routine? How do you schedule your spring cleaning tasks? I use a never-ending cleaning circle. Whenever I have time to clean, I do the next thing on the list. Of course, if I have an area that's a mess, I tackle that first! That sounds like a great cleaning routine! I do something kind of like that too. Thanks again for your wonderful de-cluttering advice. I used a few of your tips to clean up my home office last December, and soon I plan to start on the junkyard that is our basement! I'm so glad to hear my tips helped with your office! Good luck with your basement! I clean like this too. It seems like as soon as I get used to a schedule or stage of life, it changes...being flexible is the key, I agree! I appreciated your response to a specific need, but then gave suggestions that others could use, too. 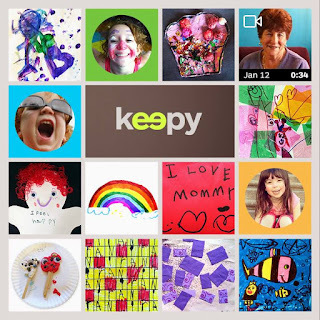 :) I enjoy visiting your site because it is friendly, cheerful, & encouraging! !